Do you have a WordPress issues that is making you worried? Try not to stress, we are here to fix WordPress issues 24/7 only for $19. 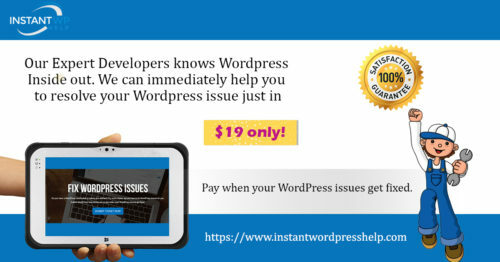 Instant WordPress Help allows you to pay when your WordPress issues get fixed. We are here to fix any kind of WordPress issues that is causing you and your site to lack behind.